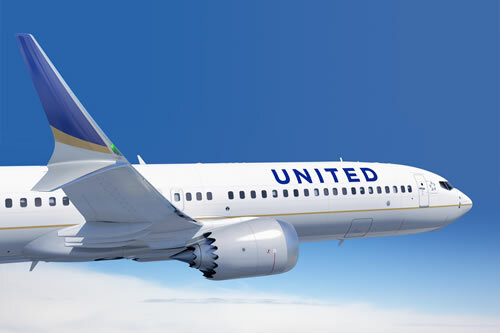 United ordered (full press release here) 100 of Boeing's new fuel efficient 737 MAX airplanes to start updating the current fleet. Deliveries will begin in a few years. United also ordered 50 737-900ER jets to replace some 757's in the fleet with deliveries starting next year. This is a good move for United to lower operating costs and I bet they got a great price on the planes because Boeing is hurting for narrow body orders. I prefer the Airbus interior so I'm not jumping for joy on this move. Also the 757 has 4 more first class seats than the 737-900ER and boarding is done through the middle door, so first class has a very private feel. Strange that this was not announced at the Farnborough Air Show going on right now. Airbus loves to announce orders at airshows to show off in front of the press. Boeing prefers to announce orders as they come, but the timing and order size would make this an air show highlight. Maybe a missed opportunity by United and Boeing.